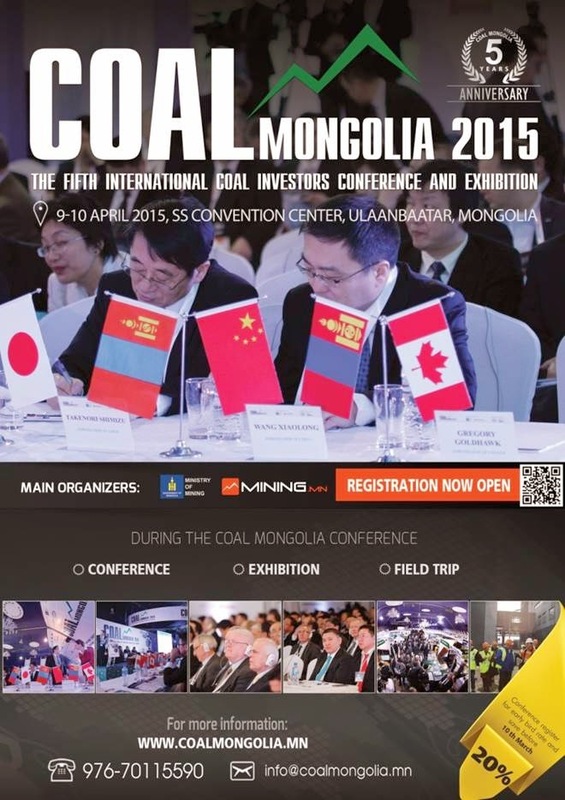 Registrations for the COAL MONGOLIA 2015 International Investors Conference and Exhibition started. “COAL MONGOLIA” is an International Conference and Exhibition for Coal Investors and it has been expanding rapidly every year. 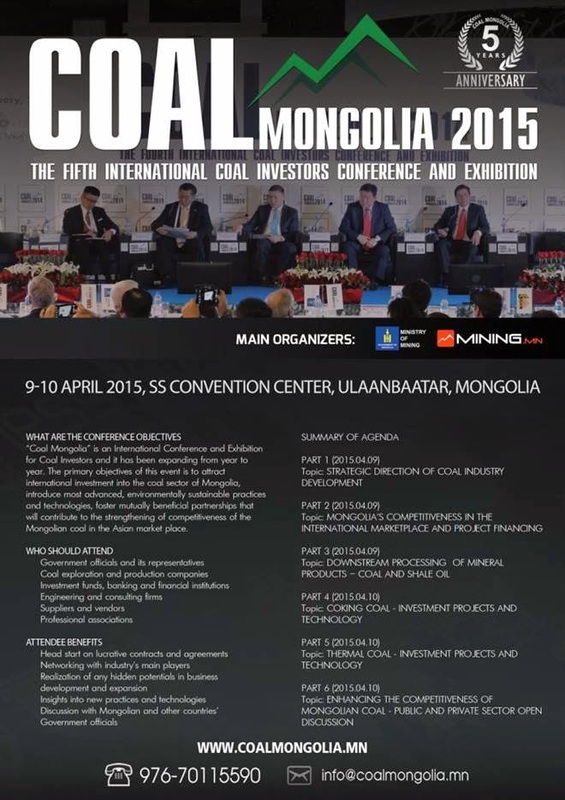 The primary objective of this event is to bring International Investors into the coal sector of Mongolia; to introduce the most advanced, environmentally friendly technologies in coal mining sector; to create a mutually beneficial partnership that will strengthen Mongolia’s competitiveness in Asian region. 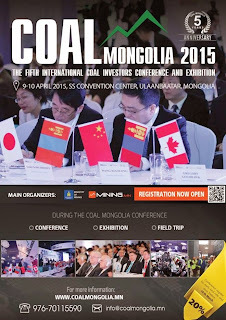 This year's “COAL MONGOLIA-2015” International Conference and Exhibition is celebrating its 5th anniversary and commemorates the 5th anniversary of the first international IPO that attracted the first investment in coal sector and is scheduled for April 9-10, 2015 with the support from the Government of Mongolia. 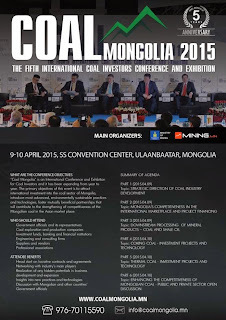 We are inviting you to the “COAL MONGOLIA-2015” to be informed on current coal market, its trends, state policy on coal sector and be a part of discussions of the pressing issues and meet with peers in the coal sector. For more information please visit www.coalmongolia.mn.